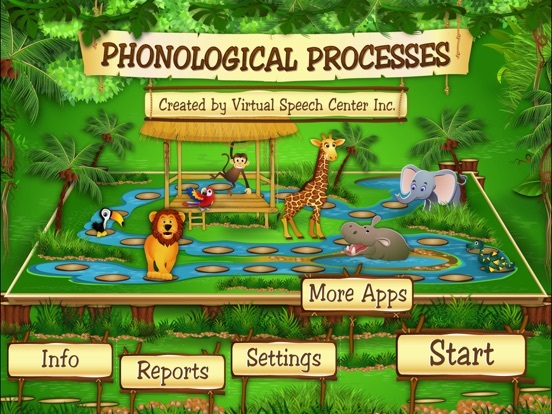 The Phonological Processes app was created by a certified speech and language pathologist for children ages 4 and up who exhibit phonological disorders or delays. 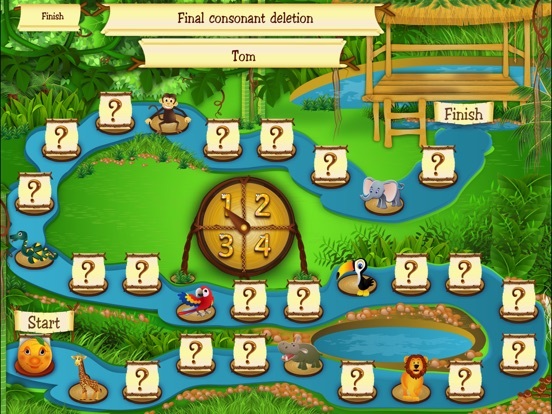 This research-based app implements a linguistic approach for treatment of phonological disorders by engaging users in minimal pair contrast therapy. Children will have fun drilling with flashcards while playing a colorful animated board game full of surprises. 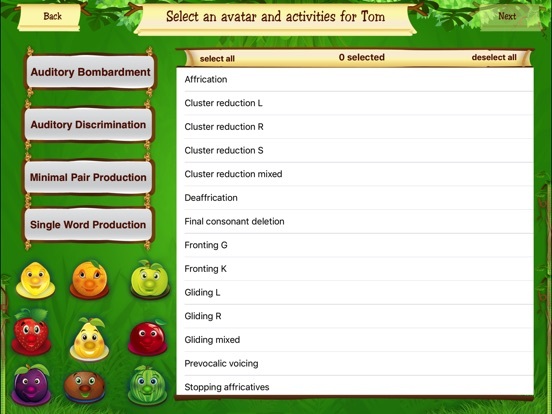 In addition, children can record their productions and compare them with the targeted productions pre-recorded in this app. Phonological processes refer to typical patterns that are used by children to simplify their speech. For example, a young child may say “tar” for “car” or “may” for “make.” Phonological processes are very common among three- and four-year-old children, but most of them should spontaneously resolve by approximately age 5. If phonological processes do not disappear by this age, the child may need formal speech evaluation and intervention. The Phonological Processes app employs minimal pair contrast therapy. The minimal pair approach to phonological remediation teaches children the function of sounds, emphasizing that changing sounds changes the meaning of a word (Barlow & Gierut, 2002). Minimal contrast therapy targets pairs of words that differ only by one sound. It may focus on the perception of contrast or production of contrast. 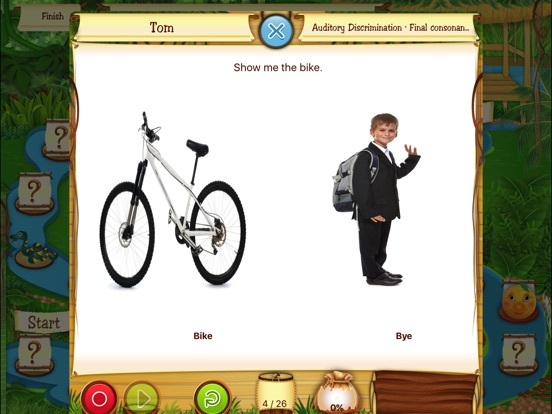 In the perception task, the child is asked to point to target words when presented with two or more pictures (minimal pairs). 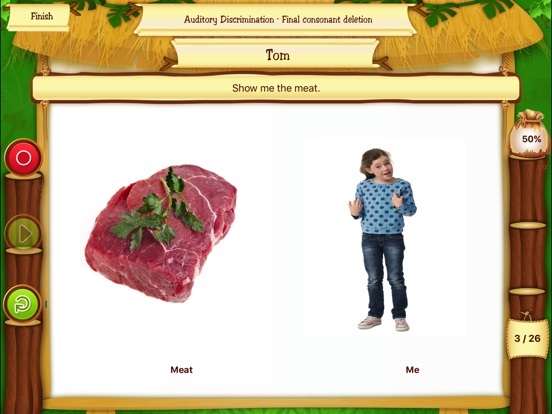 In the production task, the child is asked to verbally produce minimal pairs (Bernthal and Bankson 1998).